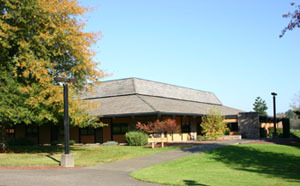 As a comprehensive community college, Umpqua Community College is dedicated to assisting adults who want and need to develop strong basic academic skills. The Learning Skills Department focuses on the growth and development of all students through services which may include tutoring, career counseling, fundamentals of reading, writing and mathematics, and courses to improve learning skills. Free "drop in" peer tutoring is available for all UCC students in most college subjects, including mathematics, science, foreign languages, accounting, computers, and writing. Tutoring Services are located in the Library building. Several test preparation programs are available as well. The Learning Skills Department offers a number of courses designed to help students improve their learning skills. Many of these are one credit mini classes that meet for two or three weeks during the term. Developmental classes are offered in mathematics, writing, and reading. The purpose of these courses is to build strong basic academic skills, enabling students to complete their educational goals. This program builds strong reading and writing skills by featuring learning communities. The program gives students the literacy skills they need to function as workers, family members and community members while also providing them with the skills necessary for transition into college level courses. The Bridge Program includes the following elements: a cohort atmosphere, a support/study group, a college success course, block scheduling, mini courses in learning skills, and basic skills development including reading, writing, and computer literacy. Students are recommended to the program based on their placement test scores.